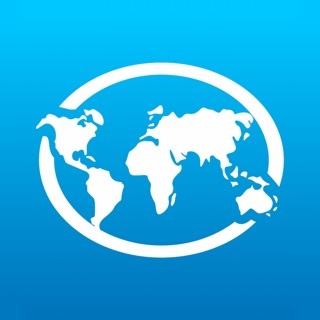 Timbuctu™ The earth's most intuitive location based sharing platform is available now on iPhone. The reality is that you live your life in sets of adventures. You go to work each day, you have family vacations, hobbies you enjoy or even like to group media like photos or videos like black and white photography, etc. 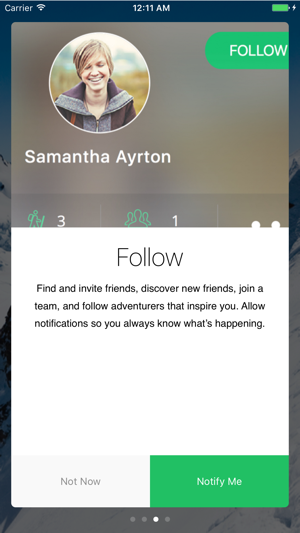 Now, you can post each media in its own adventure and people can just follow one or all your adventures. What does your world look like? Where have you been? Where would you like to go? 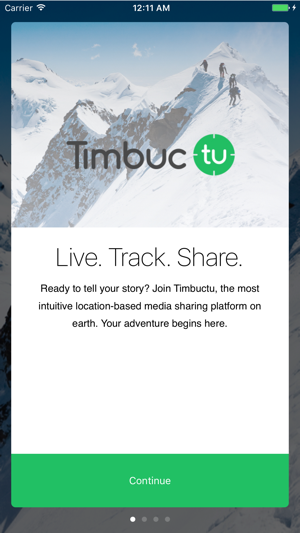 Track your adventures in real time with Timbuctu™. Simply create an account, create your first Adventure and start posting to that adventure. You can share photos, videos and GPS tracks with your friends, to Facebook, to Twitter and the whole world. Our revolutionary trademarked feed ensures you get the content you actually want. All your friends will create various adventures, you simply follow the ones you are interested in. That’s it. You can now also add tracks of your favorite trails, biking routes or simply health walking adventures. While tracking, you can also take photos and videos! Select the adventure you want to save your track to and you are done. 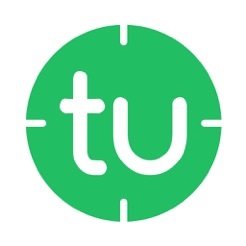 Timbuctu™ allows you to capture photos, videos and tracks while you are in airplane mode or have no service and waits to upload until you get service or wi-fi. Your Timbuctu™ settings for each adventure can be set to private or public. Enjoy archiving your media just for you, you and your friends or the whole world. 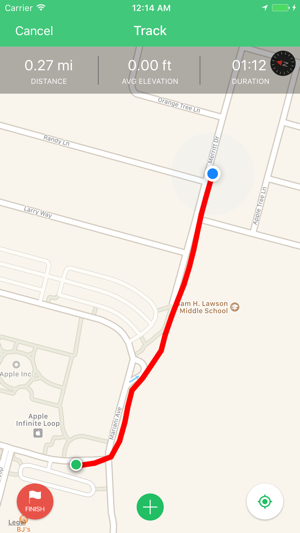 Each post is geo located using media information or you can locate the post on a map! 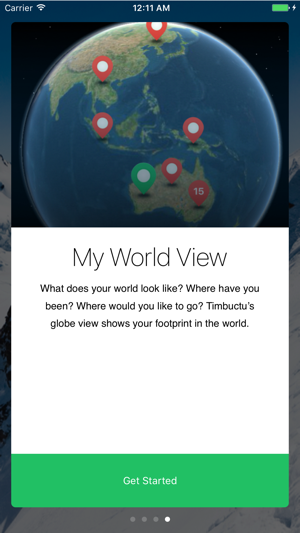 Another proprietary feature of Timbuctu™ is our ability to tell a group’s story from individual user’s point of view. 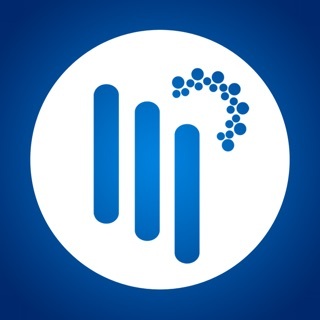 Users can join a group and share one or more adventures with the group. Every time group users update their own adventure, the group’s feed and globe gets populated. At a glance, you can see what your group is doing as a whole! But now it just isn’t even active. Like the app stopped connecting to itself... I guess the servers went down. 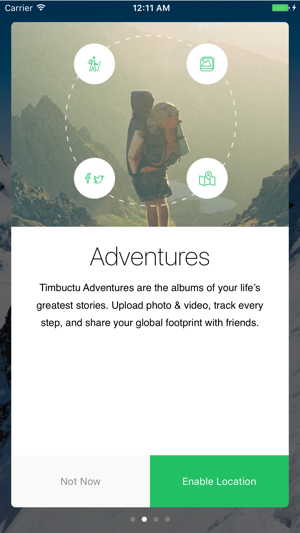 For a generation that values adventure and travel, this app is the future. Compared with Facebook and Instagram, Timbuctu dominates as the best social media platform to share travel related posts. It is set up for vagabonds at heart, who are constantly looking for new places to go and ways to share where they've been. You'll be downloading it eventually anyway, so jump on board!